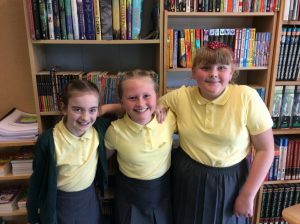 If children have enjoyed reading a particular book – and would like to recommend it to others – they can write a short review for our website. 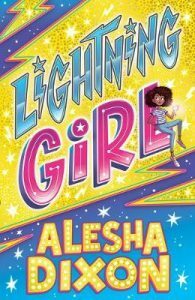 This book is about a girl called Aurora. She has super powers and so does her mum – and they always save the world from criminals. All of the females in Aurora’s family have super powers. Aurora’s dad is doing a gemstone exhibition. Aurora’s teacher – Mr. Mercury – is a world-class criminal and he’s trying to steal the gems. But he won’t succeed if Aurora has anything to do with it ! 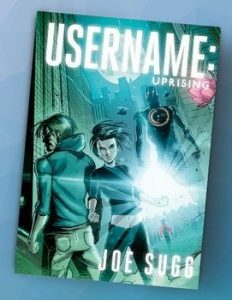 This is one of the best books that I’ve ever read. 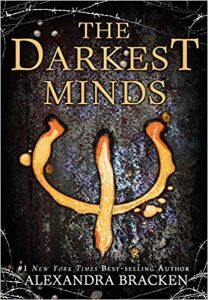 It is full of heart-stopping adventure and you never want to put it down. As a sixteen-year-old, Ruby must escape from the torturous generation of death that faces her. This is a two way fate: death or Thurmond. She must try to help herself and others break away from this nightmare. My favourite part of this book is when Ruby meets new friends and joins them to find East River. I will definitely read all three books in this breath-taking trilogy. 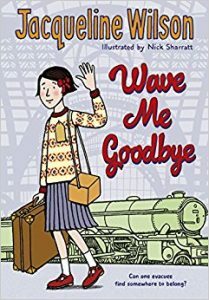 This book is about a girl who finds a strange boy in an old French house. Is it too late to save him ? Find out in this amazing book. You won’t want to put it down. Dennis is a normal boy but he feels different. He meets Lisa in detention and she invites him to her house. 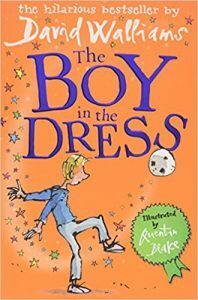 Soon he is wearing a dress in school – and that dress makes his life change forever. His head teacher expels him and he can’t play in the final with his football team – and his team has no chance of winning without him. I think this book is good for children age 8+. 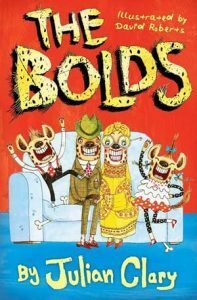 This is a book about four hyenas. At the start, two hyenas pinch the identities of two tourists who have been eaten by crocodiles ! The hyenas put on clothes and travel to England as Amelia and Fred. Their children are called Betty and Bobby. 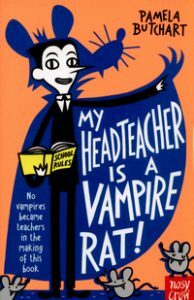 I loved this book and I think that it’s for age 7+. There is a horrible twister in Kansas. Dorothy and her dog (Toto) are blown away and end up in a magical land. 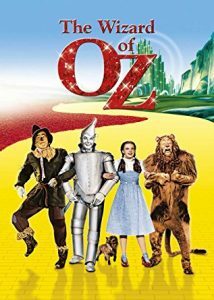 While travelling down the Yellow Brick Road, they meet Scarecrow, Tin Man and Lion. They all have to beat the Wicked Witch of the West….but they have dangerous obstacles in their way. I would recommend this book for children aged 7+. Zoe is a small girl and her pet hamster is called Gingernut. Soon after her step mum moves in, something happens to Gingernut. Zoe’s dad loses his job and the family become poor – meaning they can’t afford a new hamster. When a rat enters their flat, Zoe discovers that it can dance. Watch out for the burger man ! A funny and entertaining book. I think it is for age 8+. This book is really well written and has fantastic illustrations by Amrit Birdi. The story is about a girl called Evie. Her dad makes a place called ‘Escape’ – and they take over the world. I think this book is for age 8 and above. 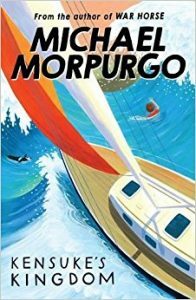 This is a fantastic book about a boy named Michael who lives on a boat called ‘The Peggy Sue’. One day, Michael and his dog fall off the boat. Michael spots his lost football and grabs onto it….and drifts off to sleep. When he wakes up, Michael finds that he is stranded on an desert island – with his dog. But someone is leaving food for him. This is a fantastic book about a man called Billy Byron who could have stopped World War Two. A stranger tells a story to a little boy called Barney. Barney is on a train that is hiding in a tunnel from a German fighter plane. The stranger is telling Barney the story of Billy Byron. It is an amazing book and has brilliant illustrations. It’s one of my favourite books. This book is about a boy called Dennis. He loves his mum’s dress because it has got flowers all over it. Dennis and his best friend (Darvesh) love to play football. Dennis’s mum and dad have separated, so Dennis (and his brother, John) spend most of the time living with their mum. But every weekend, they always go to their dad’s house so they can see him. Their dad spends a lot of time watching football. 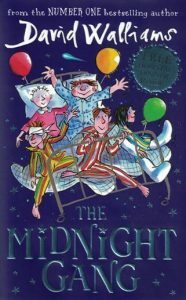 I would recommend this book for children aged 7 and 8. I think that there is a book for everyone – you just have to find your favourite author. This book is about a baby who is taken into the Foundling Hospital. The baby is renamed ‘Hetty Feather’. Hetty is adopted by a lovely young lady. 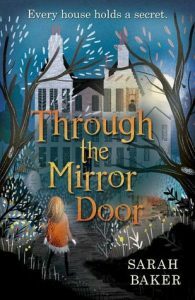 When she is five years old, she is taken back to the Foundling Hospital – and one of her brothers dies. 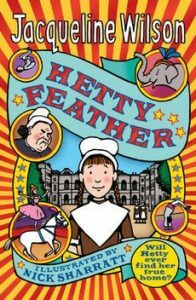 ‘Hetty Feather’ is a breathtaking and interesting book. I recommend this book to children aged 8+. Buy it in all good book shops. 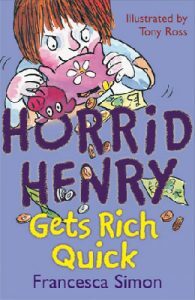 This book is about a boy called Henry who wants to buy a new castle. He needs more money, but his mum won’t give him any. Henry decides to sell his dad’s tennis racket. I like this book and I read it in two days. I think that children aged 5+ could read it. 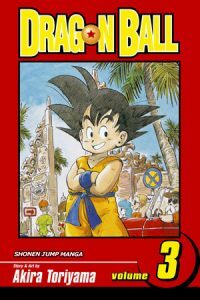 ‘Dragon Ball’ is a fun series of graphic novels. The blurb says: Legend has it that if all seven of the Precious Orbs (called Dragon Balls) are gathered together, an incredibly powerful dragon will appear and grant only one wish. I like this book because it is a Manga-style comic and full of adventure. It’s about Goku who bumps into a character called Bluma – who wants to collect all of the Dragon Balls. 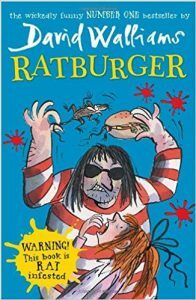 I rate this book as aged 10+ because it is bit violent (in a comic way) – and you may laugh your head off ! This book is about Izzy and her three friends. They all think that their new head teacher (Mr. Graves) is a bit weird. Their first thought is that he’s a vampire. 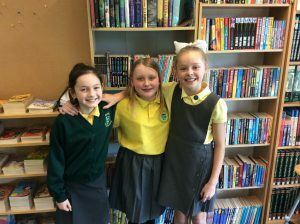 Izzy and her friends do lots of research and try out crazy stuff in order to prove their theory. I like this book because it is very funny and a mystery. It is my second favourite book of all time. I would recommend this book for age 7+. This book is about a girl called Mathilde. She is very suspicious of a gang of friends. 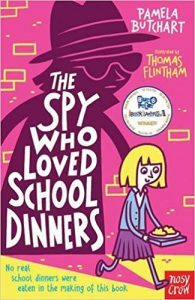 All of the children think that there is a spy trying to shut the school down. I really enjoyed this book. I think it would be good for children aged 7+. 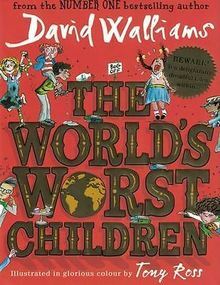 This book is about the ten most revolting children in the world. In some parts it will make you laugh – but most parts are just disgusting ! It’s a real page-turner and you’ll never want to put it down. The best part is that you can read it anywhere you want. My favourite chapters are: ‘Peter Picker’, ‘Dribbling Drew’, ‘Nigel Nit Boy’ and ‘Sofia Sofa’. Buy this book now ! You’ll love it. It’s boss ! I would recommend this book to children aged 6+. 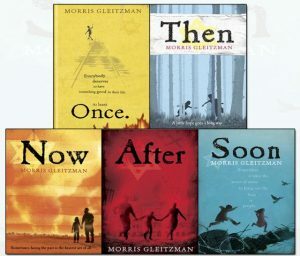 This series of five books (‘Once’, ‘Then’, ‘Now’, ‘After’ and ‘Soon’) is set at the time of the Holocaust. The stories are very real and based on events of the time. The main character (Felix) has to overcome lots of difficulties. The books are quite sad at some points. I have read all of these books and think they are aimed at children who are aged 9+. This is a very nicely written book. It is based on World War Two – when children were evacuated. Shirley (the main character) is evacuated to a strange house in the country. While she’s there, she has lots of adventures. I think this book is best for children aged 7+. 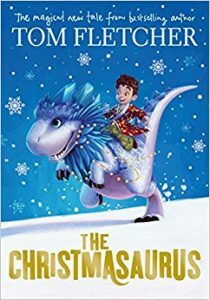 This book is about a boy called William Trundle and his dad (Bob Trundle) – and it’s about a dinosaur, Santa, a hunter, his dog and a little girl called Brenda Payne. The dinosaur’s mum and dad are dead and he is left alone. One day, Santa finds him and takes him to the North Pole. Santa makes a dinosaur teddy for him and the dinosaur loves it. When Santa lets the dinosaur join him to deliver presents, they go to William Trundle’s house. When William wakes up, the dinosaur becomes his forever. 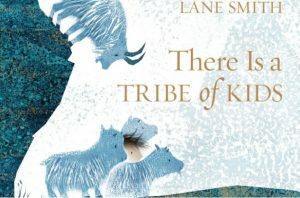 I like this book because it’s all about a girl called Tina and her two sisters. Unfortunately, Tina has something wrong with her. There is a girl in her class who is being a bully. The children’s teacher (Miss Lovejoy) doesn’t let Tina sit next to her sisters (Phil and Maddie). Tina is stuck sitting next to Selma – the bully ! 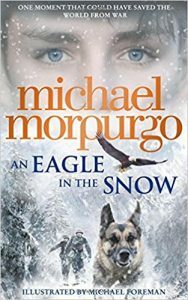 This was the first chapter book that I read – and I loved it. I would recommend this for children aged 7+. 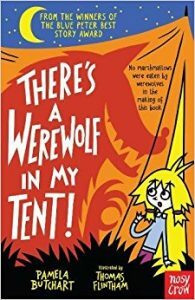 ‘There’s a Werewolf in My Tent’ is a story about Izzy and her friends going on a camping trip. But the new P.E. teacher (Miss Moon) seems rather weird. Unusual things start to happen. What keeps howling in the night ? And who stole the sausages ? Only a werewolf would do that stuff ! Miss Moon seems like the first suspect. I like this book because it is a mystery. I would recommend it for age 7+. This book is about a grumpy headmaster, two boys and a 3-D hipno-ring. The two boys are George and Harold and the grumpy headmaster is Mr. Krupp. 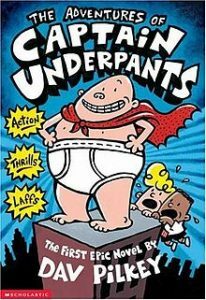 George and Harold write comics called ‘Captain Underpants’ and they sell them at school for 50 cents each. The boys get into a lot of trouble – but this is superhero trouble. This book is really funny. It’s chapters are very short so it is easy to read. A breath-taking, page-turning book. I love it ! I think this book is really good because it is a change from normal reading. You have to read from right to left because it’s a Japanese Manga-style graphic novel. 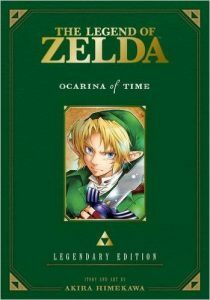 It’s about a boy named Link who becomes the ‘Hero of Time’ and defends Hyrule from evil monsters. The book is great because it sometimes leaves chapters on cliff-hangers – so you look forward to reading it tomorrow. The book is very exciting and mysterious – and it’s my second favourite book of all time. 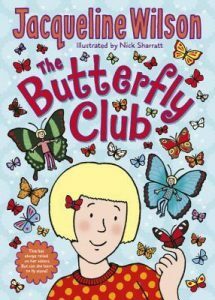 I would recommend this book to children aged seven and above. It looks like a long book, but a lot of the pages are full-page pictures. It is one of those books that makes you want to read more and more. I really liked the part where an old lady goes flying out of the hospital window – naked ! David Walliams has mad, funny ideas. I think it is a really good book. I love ‘The Midnight Gang’ ! 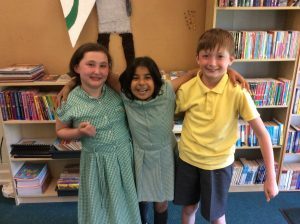 Aliyyah, Ryan and Grace were members of our Y5 & Y6 Book Club. ‘We think this book would be suitable for age 6+. It is a very clever story and has lots of amazing pictures. ‘We would recommend this book for age 7+. It’s an emotional story, but the way that it’s written is amazing. 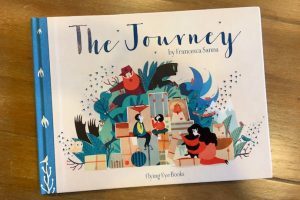 ‘The Journey’ by Francesca Sanna is one of the shortlisted books for the 2017 Kate Greenaway Medal. One of the teachers in the story was given the nickname ‘Two Biscuits’ – I thought this was funny. I like all of the little clues that made me think about what was going to happen next. My favourite character in the story was Charlie. Some of the chapters were telephone conversations – I thought this was clever. I really enjoyed the time slip aspect of the story. I liked the way that emotions changed throughout the story. 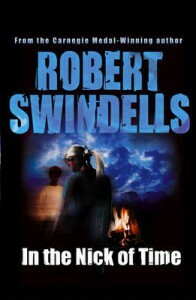 I liked the drama and the suspense of the story – and the short chapters. The story really made me think – it was mysterious. I liked the way the author had two plots running at the same time.